Cupertino, Calif. -- October 10, 2018 -- Altia Systems, creator of PanaCast ® 2, the world's first 180 degree Panoramic-4K plug-and-play camera system, Zoom Video Communications and Uber today announced the successful deployment of more than 850 PanaCast-equipped Zoom Rooms in Uber offices worldwide to streamline its enterprise scale video communications technology. The camera systems are being used to connect more than 18,000 Uber employees in hundreds of offices across the world. Altia Systems worked closely with Ravi Sharma, the head of collaboration and AV services at Uber, and Uber's technical team to deploy innovative equipment and software as a part of Uber's AV 2.0 initiative. AV 2.0 is focused on improving quality across all audio and video components, boosting productivity through seamless collaboration and streamlining remote support while remaining simple and cost-effective. "When people walk into a conference room, they don't want to struggle with the technology - they want it to just work," said Ravi. "PanaCast provides that while significantly enhancing employee productivity by streamlining collaboration with its intelligent features. That's why we've deployed hundreds of PanaCast devices across Uber's conference rooms globally," he said. "You have five chairs per huddle room. If two are not in the camera's field of view, those two chairs are not usable and you've lost those seats at the table - literally." PanaCast's 180 degree field of view allows Uber's teams to utilize 100 percent of any conference or huddle room, leaving no space wasted or team members out of sight. Uber is also utilizing PanaCast's Intelligent Vision products, such as Intelligent Zoom and PanaCast Vivid, to help enhance participants' experience with autonomous intelligent technology. This eliminates the need for manual remote control adjustments that typical pan-tilt-zoom cameras require. "Zoom and Altia Systems have collaborated to integrate PanaCast controls into the Zoom Room control panel via an open API. This capability was first deployed by Uber to simplify and enhance participants' experience, and is now available widely," said Oded Gal, head of product management at Zoom. "Zoom's overarching goal with Zoom Rooms is to create an efficient, easy-to-use solution, which we've accomplished by incorporating intelligent camera controls such as PanaCast Intelligent Zoom. These tools help streamline the communications experience for customers around the world." "Uber's rapid growth required an innovative IT solution to manage large-scale global deployments," said Altia Systems VP for software engineering, Naveed Alam. "We worked with Uber's AV and IT teams to deliver an enterprise grade zero touch support and manageability solution that enables PanaCast devices to be updated and configured remotely as new technology develops. It combines seamlessly with the PanaCast fundamentals of 100 percent video, audio and big data coverage to optimize virtual collaboration within a global company." Altia Systems will be demonstrating its PanaCast technology solutions with Zoom Rooms at Zoomtopia 2018, taking place from October 10-11, 2018 in San Jose, California. Ravi Sharma will be a panelist on "Pushing the Limits of Zoom Rooms" panel at Zoomtopia 2018 and Oded Gal will be delivering the Product Keynote at Zoomtopia on Thursday, October 11th at 8:30 a.m.
Altia Systems ® is a venture-backed company based in Cupertino, CA., and is the creator of the PanaCast ® system and software products. PanaCast ® 2, the world's first Panoramic-4K Plug- and-Play camera system that delivers a 180° wide field of view, which replicates the natural human visual perspective. 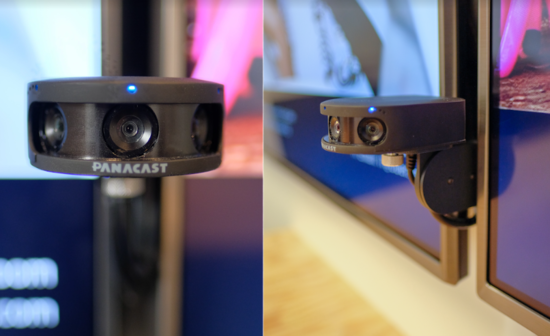 Funded by Intel Capital and other leading investors, Altia Systems' PanaCast 2, 2s, 3D VR and Live systems deliver real-time 180° Panoramic-4K, Panoramic-5K and 4K 3D video streams from integrated, synchronized and optimized multi-camera arrays. PanaCast systems and Intelligent Vision (artificial intelligence) software products are used by more than 1,500 companies worldwide, including 200+ universities, for video collaboration, education, AR/VR, live broadcasting and machine learning for autonomous systems. PanaCast system devices are designed and assembled in the U.S. and have received prestigious awards such as CES Innovation Awards Honoree, Frost & Sullivan New Product Innovation, GOOD DESIGN award, Gartner Cool Vendor in Unified Communications, and more. For more information and the latest updates, visit https://www.panacast.com/ and follow @PanaCast1 via Twitter. Uber's mission is to bring reliable transportation to everyone, everywhere. We started in 2010 to solve a simple problem: how do you get a ride at the touch of a button? We've since completed 5 billion trips and remain committed to building a platform that enables the safe, efficient movement of people around the world. \"When people walk into a conference room, they don't want to struggle with the technology - they want it to just work,\" said Ravi. \"PanaCast provides that while significantly enhancing employee productivity by streamlining collaboration with its intelligent features. That's why we've deployed hundreds of PanaCast devices across Uber's conference rooms globally,\" he said. \"You have five chairs per huddle room. 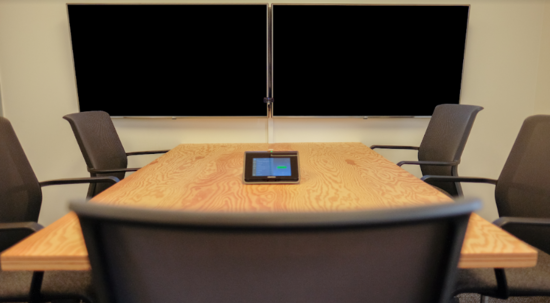 If two are not in the camera's field of view, those two chairs are not usable and you've lost those seats at the table - literally.\"
\"Zoom and Altia Systems have collaborated to integrate PanaCast controls into the Zoom Room control panel via an open API. This capability was first deployed by Uber to simplify and enhance participants' experience, and is now available widely,\" said Oded Gal, head of product management at Zoom. \"Zoom's overarching goal with Zoom Rooms is to create an efficient, easy-to-use solution, which we've accomplished by incorporating intelligent camera controls such as PanaCast Intelligent Zoom. These tools help streamline the communications experience for customers around the world.\"
\"Uber's rapid growth required an innovative IT solution to manage large-scale global deployments,\" said Altia Systems VP for software engineering, Naveed Alam. \"We worked with Uber's AV and IT teams to deliver an enterprise grade zero touch support and manageability solution that enables PanaCast devices to be updated and configured remotely as new technology develops. It combines seamlessly with the PanaCast fundamentals of 100 percent video, audio and big data coverage to optimize virtual collaboration within a global company.\"
Altia Systems will be demonstrating its PanaCast technology solutions with Zoom Rooms at Zoomtopia 2018, taking place from October 10-11, 2018 in San Jose, California. Ravi Sharma will be a panelist on \"Pushing the Limits of Zoom Rooms\" panel at Zoomtopia 2018 and Oded Gal will be delivering the Product Keynote at Zoomtopia on Thursday, October 11th at 8:30 a.m.